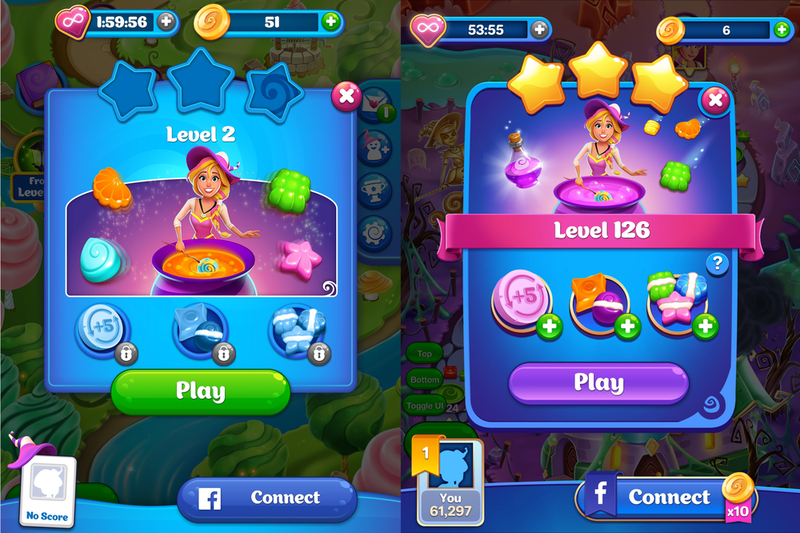 Crafty Candy is a Match 3 Adventure mobile game from Outplay Entertainment. I was taken on board in 2017 to overhaul the UI and improve the UX of the game in general. For that I looked at every screen in the game and changed the looks and layout to create more visual interest, better readability and a more polished look. All rights reserved by Outplay Entertainment. In a team of 4, later 3 UI Artists, I was mainly responsible for documenting the rules of the UI in a Styleguide. Rules had to be established and consistency created. Working in Unity, I was also responsible for creating a UI library. The game is a freemium mobile MMO Strategy game, where you can build your base on Mars. One of the features I was responsible for were the Unit Training and Skill Research features. Due to its similarities, these features required the establishment of rules and consistency. Each detail needed to be pixel perfect. I was in charge of creating the layout, art and graphic design for the Alliance feature. The Alliance feature, lets you connect with other players and enables you to acquire resources more easily. For this feature I want to show different design proposals and iterations I developed with a team of Game Designers and UX Designers. In the end we decided to let the notification take the space of the chatbox. This was to prevent notifications from overlapping important informations and hitting the notification accidentally. If tapped, the notification would take the player to the feature it called out. The tutorial is an immersive holographic video call. The goal was to make it as as possible with the use of graphic design and animation, which was created in collaboration with our Technical Artist. All rights reserved by Goodgame Studios. Twisted Tales is a reskin of the japanese multiplayer mobile card collection battle game “Kizna” by Sumzap. On this project I was responsible for the UI as the User Interface Artist on the project. The game is based on an anime with a strong IP in Japan, but is unknown outside of Japan. Therefore we decided that we would have to localize it and make it accessible to the western audience. As a theme we chose fairy tales with a dark twist. Once the theme was decided, we explored different looks and feel through photobashing during the pre-production phase. When comparing the initial concept with the final design of the main page, the hub of the game, called “Stronghold”, it is barely recognisable. Since this game was based on an existing game, each asset from the Japanese game required an equivalent in our style. I identified the most used assets in the game and created a UI Kit with a set of rules to know when to use which asset. A main concern of the UI was Color Coding: Button colors, Bar colors, and correlating skills, items or stats should have the same color. Another challenge was to find the right sizes for pop-ups that would accomodate the amount of information we needed to display without leaving too much negative space. The game relied on ingame banners and promotions to inform the players about features, events or ongoing sales. All rights reserved by Aeria Games. During my time at Aeria Games, I worked on several mobile game titles. One of them was Battles and Monsters! or BAM! A mobile Multiplayer Card Collection game. It was a reskin of the mobile game Immortalis, with a very cartoony style to cater more to a western audience. One of my main tasks on this project was to create the User Interface in collaboration with my Lead Graphic Designer. Fitting to its flamboyant characters, the theme of the UI had saturated primary colors. I worked closely with my Lead to keep the UI Elements consistent throughout the game. One of my graphic design tasks was to create a logo for an Event in the game. I also was responsible for implementing the layout of the event in HTML/CSS. Once the game was live, we created a lot of promotional assets, banners and landing pages for events and sales. These characters were created as card art with a brief from game design and feedback from my Art Director. We worked as a team to create this comic. My part was the coloring and shading. The Intro Animation served as a tutorial. I created the storyboard for it, then created a sketch and worked from there on lineart, color and shading. For my student internship I was given the opportunity to work on “Goodbye Deponia”, the third installment in the Deponia series. This is one of the environments I created for the game. The player character “Rufus” has to walk through the scene and interact with certain elements. That meant I had to split it up in separate parts to provide the individual game assets. If an event was triggered in the game, the game would transition into a “Close Up” scene. This would enable the player to closely interact with the environment. Which would trigger an animation in the background. It required me to create an existing environment in a different perspective. Cut scene backgrounds were existing environments that had to be drawn in different perspective for the purpose of showing an animated scene in them and were often animated to look more three dimensional. They were cut in between gameplay scenes. I worked closely with the Animator for these scenes, and provided the cut up art for them. All rights reserved by Daedalic Entertainment.